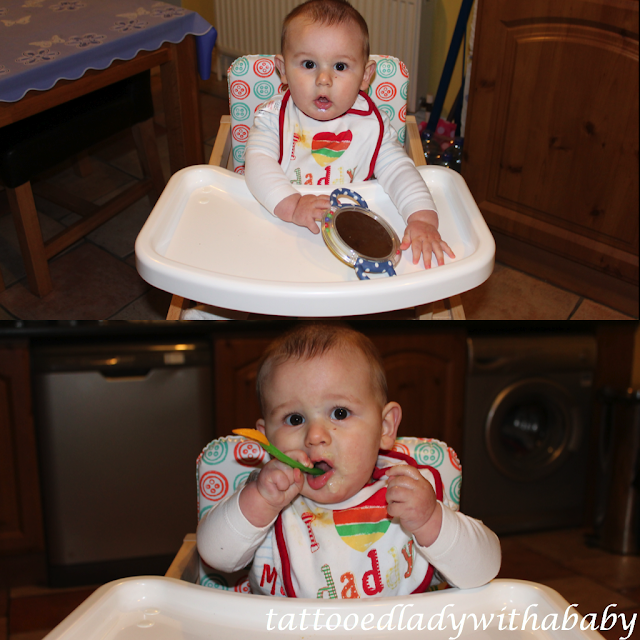 So we've had to take another big step and buy a highchair...someone slow this boy down! 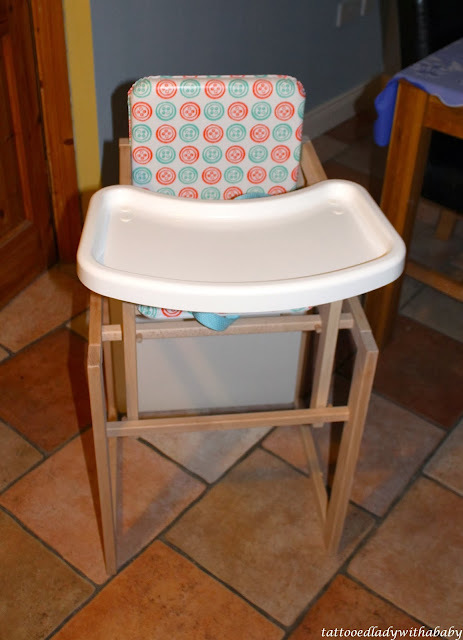 Anyway from the start I've had my heart set on getting a highchair for L similar to the one I had as a child, it was a wooden one which then turned into a table and chair, some of my earliest memories are in that high chair. So I searched high and low. I did find one in Argos but it just didn't appeal to me so kept looking. Surprisingly they don't seem to be that popular but I found another one on Littlewoods so we had to have it. The seat slots into the top of table for now until you are ready to change it either to a lower level or into the table and chair. This highchair is very solid, I feel L is safe in there. I would have preferred stronger straps but they do the job. 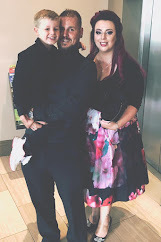 My only real concern is that that back of the seat isn't very high and as he's still a bit young I'm wary that it might not support him enough but we are just getting used to it at the moment. It tucks away in the corner of the kitchen quite nicely and really blends in well. I really didn't want an eye sore of thing getting in the way. It is the perfect height for our kitchen table too. 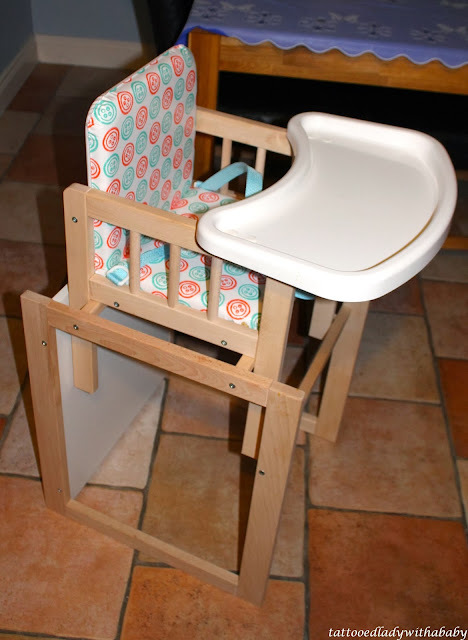 This high chair is value for money costing €82.00 which will last until he's 3 or 4.